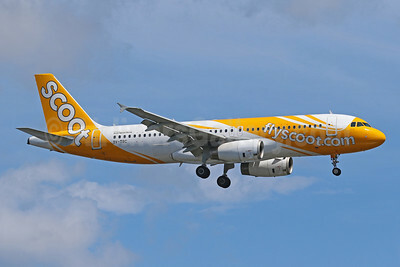 (flyscoot.com) (TR/SCO) (Singapore) 2012 - Current. Photos. Framable Color Prints and Posters. Digital Sharp Images. Aviation Gifts. Slide Shows. 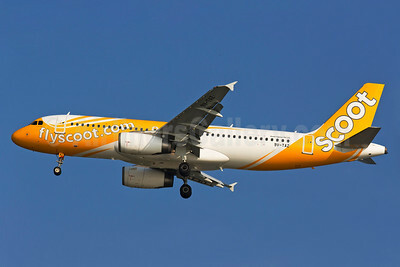 Scoot-flyscoot.com (Singapore Airlines) Airbus A319-132 9V-TRA (msn 3757) (Tigerair colors) BKK (Michael B. Ing). Image: 940571. 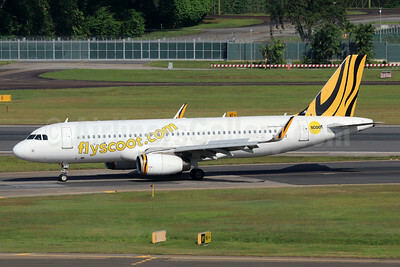 Scoot-flyscoot.com (Singapore Airlines) Airbus A319-132 9V-TRB (msn 3801) (Tigerair colors) SIN (Michael B. Ing). Image: 939332. 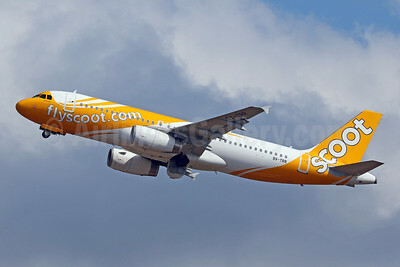 Scoot-flyscoot.com (Singapore Airlines) Airbus A320-232 9V-TAN (msn 4120) DPS (Pascal Simon). Image: 942308. 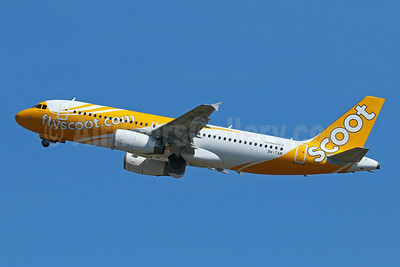 Scoot-flyscoot.com (Singapore Airlines) Airbus A320-232 9V-TAX (msn 4812) BKK (Michael B. Ing). Image: 940559. Scoot-flyscoot.com (Singapore Airlines) Airbus A320-232 9V-TAX (msn 4812) SIN (Pascal Simon). Image: 943892. 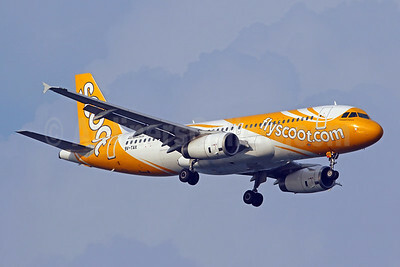 Scoot-flyscoot.com (Singapore Airlines) Airbus A320-232 9V-TAZ (msn 4879) SIN (Kok Chwee K.C. Sim). Image: 938799. 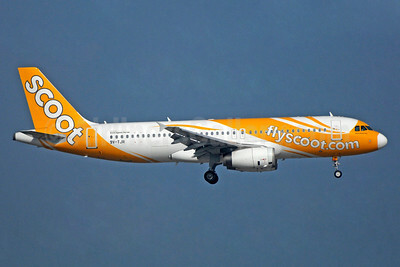 Named "Have a Scoot One"
Scoot-flyscoot.com (Singapore Airlines) Airbus A320-232 9V-TJR (msn 4645) DPS (Pascal Simon). Image: 942488. 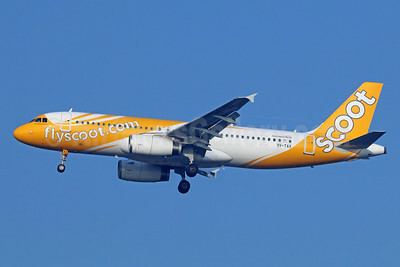 Scoot-flyscoot.com (Singapore Airlines) Airbus A320-232 9V-TJR (msn 4645) HKG (TMK Photography). Image: 940500. 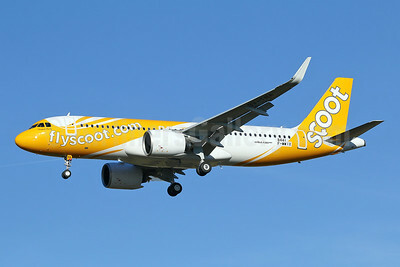 Scoot-flyscoot.com (Singapore Airlines) Airbus A320-232 9V-TRC (msn 4918) DPS (Pascal Simon). Image: 943571. 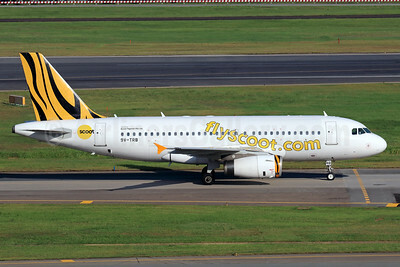 Scoot-flyscoot.com (Singapore Airlines) Airbus A320-232 9V-TRC (msn 4918) DPS (Pascal Simon). Image: 943572. Scoot-flyscoot.com (Singapore Airlines) Airbus A320-232 9V-TRR (msn 5073) DPS (Pascal Simon). Image: 943893. 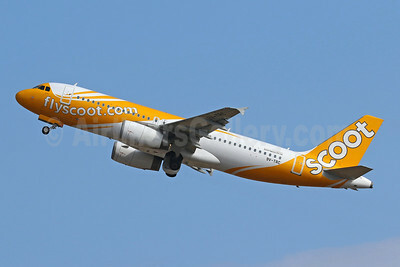 Scoot-flyscoot.com (Singapore Airlines) Airbus A320-232 WL 9V-TRK (msn 5697) (Tigerair colors) BKK (Michael B. Ing). Image: 940672. 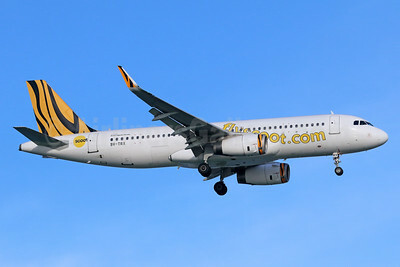 Scoot-flyscoot.com (Singapore Airlines) Airbus A320-232 WL 9V-TRX (msn 5662) (Tigerair colors) SIN (Michael B. Ing). Image: 939267. 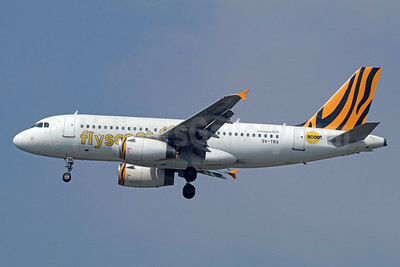 Scoot-flyscoot.com (Singapore Airlines) Airbus A320-232 WL 9V-TRX (msn 5662) (Tigerair colors) SIN (Michael B. Ing). Image: 942489. 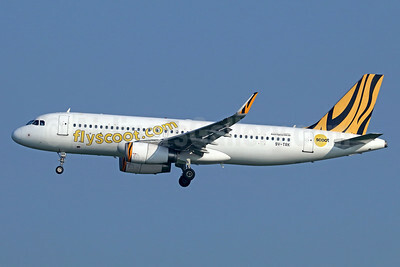 Scoot-flyscoot.com (Singapore Airlines) Airbus A320-271N WL F-WWIX (9V-TNA) (msn 8441) TLS (Eurospot). Image: 943669. 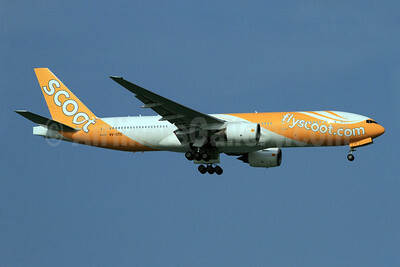 Scoot-flyscoot.com (Singapore Airlines) Boeing 777-212 ER 9V-OTA (msn 28507) NRT (Nik French). Image: 911856. 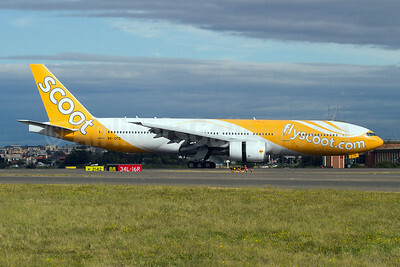 Scoot-flyscoot.com (Singapore Airlines) Boeing 777-212 ER 9V-OTA (msn 28507) SYD (Micheil Keegan). Image: 908528. 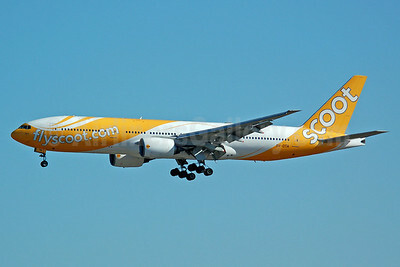 Scoot-flyscoot.com (Singapore Airlines) Boeing 777-212 ER 9V-OTC (msn 28509) NRT (Michael B. Ing). Image: 911857. 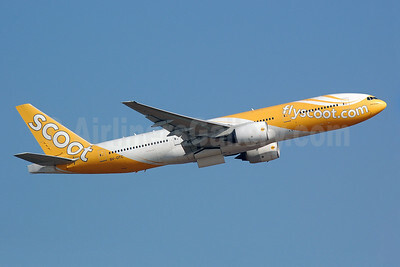 Scoot-flyscoot.com (Singapore Airlines) Boeing 777-212 ER 9V-OTC (msn 28509) NRT (Nik French). Image: 922676. 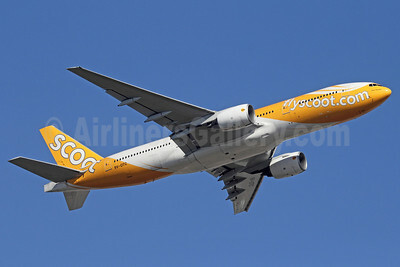 Scoot-flyscoot.com (Singapore Airlines) Boeing 777-212 ER 9V-OTC (msn 28509) SIN (K.C. Sim). Image: 908389. 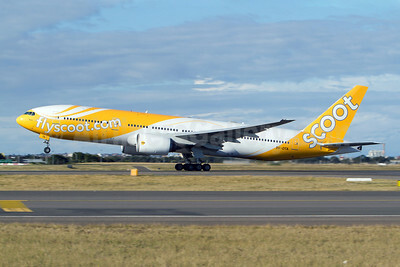 Scoot-flyscoot.com (Singapore Airlines) Boeing 777-212 ER 9V-OTC (msn 28509) SYD (Micheil Keegan). Image: 908529. 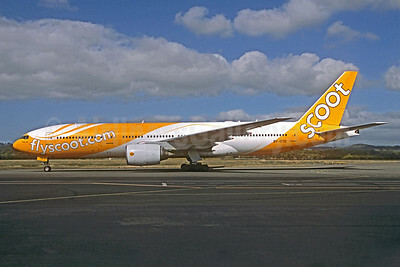 Scoot-flyscoot.com (Singapore Airlines) Boeing 777-212 ER 9V-OTD (msn 28510) (Jacques Guillem Collection). Image: 921350. 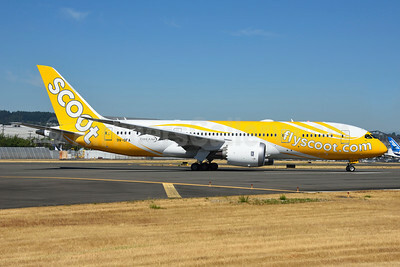 Scoot-flyscoot.com (Singapore Airlines) Boeing 787-8 Dreamliner 9V-OFA (msn 37117) BFI (Steve Bailey). Image: 928751. 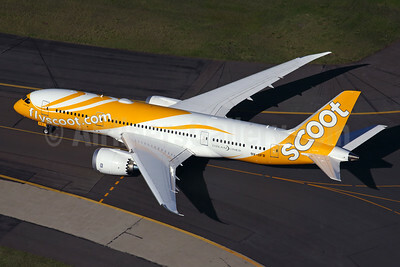 Scoot-flyscoot.com (Singapore Airlines) Boeing 787-8 Dreamliner 9V-OFB (msn 37118) SYD (Rob Finlayson). Image: 930013.